the Fibrr label is not a label in the traditional direction. Fibrr constitutes the extension on support CD of an artistic step of research. The artists FROM APO33 develop an artistic work with the crossing of the peformance and installation as well as improvisation and writing through projects with other artists. Their reflexion on the relationship between side the unicity of the live performance or installation always related to contexts and other the recording which, fixing on an always identical support, homogenizes crosses the form of presentation of the “oeuvre” and it's context of production, resulted in adopting a more radical position with respect to the realization of discs. From this point of view, the realization of CD is not thought only any more like the recording of a performance nor of an installation. Each recording gives place to a rework of the sound matter taking of account the difference of the mode of presentation of the work on CD. CD implies another listening, another attitude of the listener different from live performance. The sound or musical part present on CD is the same one as the part into live but worked over again for the support CD. In both cases, it's the work of the same project, but it materializes in two different forms. The Fibrr label is organized around the various artistic research orientations developed by the APO33 artists in collective projects. 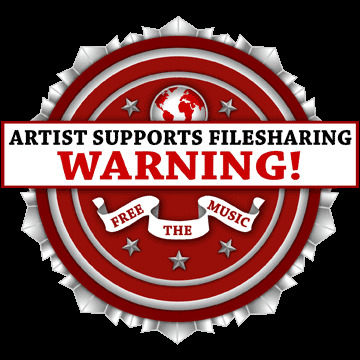 Since we start to work with APO33 on creation of webradio, we decide to begin a virtual part of the label with an idea in mind : not reproduce the CD aspect of the label on the internet. Two aspects emerges from this reflexion and pratices of this medium : one concern the duration of piece, on the internet we are not limited by the duration, our music could have many hours of duration, the other concern the live part of the project : with APO33 we start a new serie called AUDIO_DISTORTION where artists could work together during 2 months through internet to realize a sound form, a live / installation musical form via the webradio. We decide now to make the link between this new form of presentation of music & sound, between APO33 & FIBRR on this platform.